The answer is yes. What’s your question? 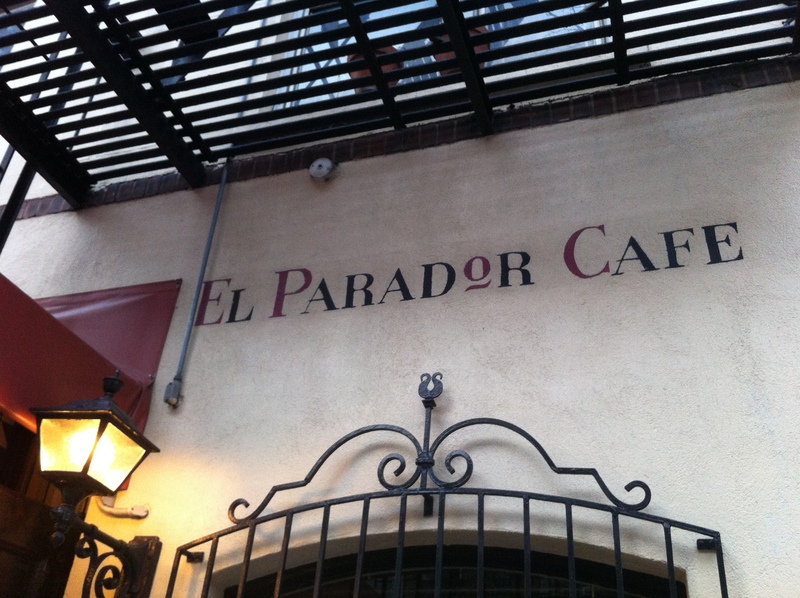 That’s how El Parador Cafe says it’s the most accommodating restaurant in New York City. 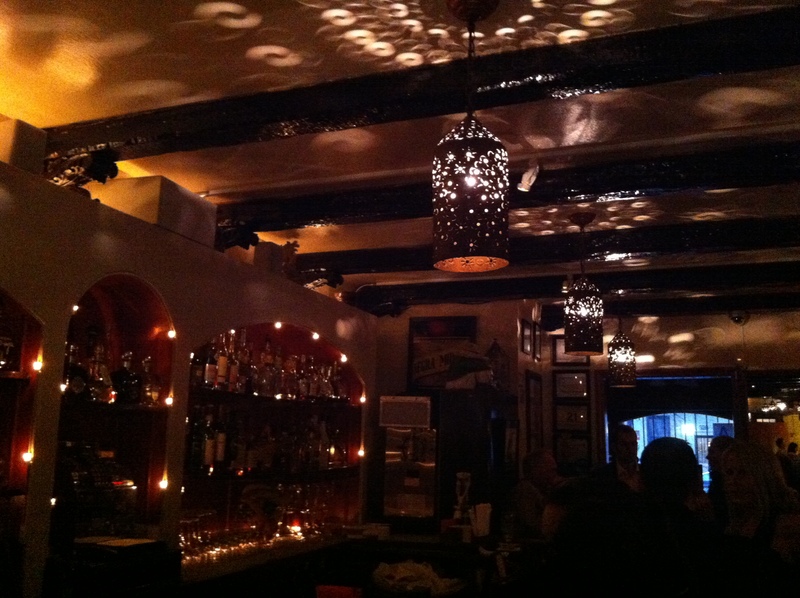 Established in 1959, it is supposedly New York City’s oldest Mexican restaurant. We were too exhausted, and the husband and the friend were too drunk from the night before to have any drinks here. We might have missed what might have been the best margaritas. 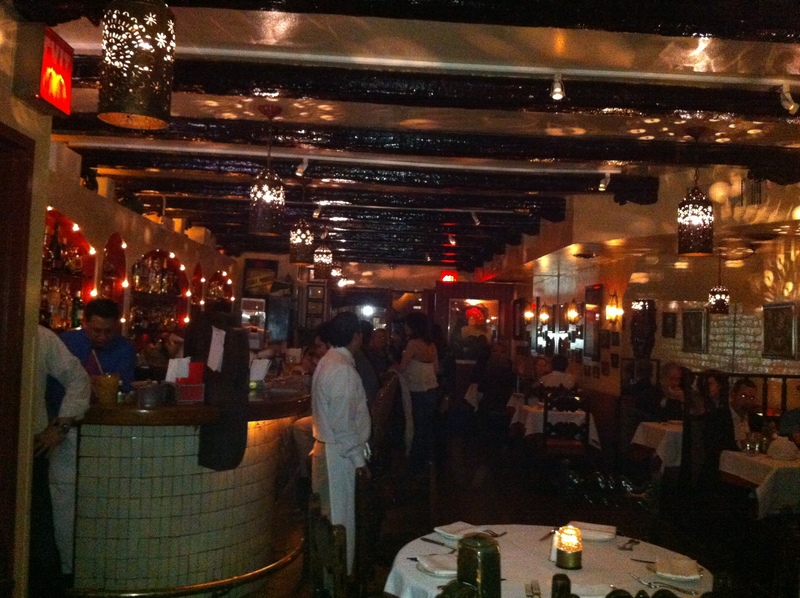 As usual, the husband was late in getting there, so I was the first one to get into the restaurant. A very warm ‘bienvenido’ is what I received from Alex when I announced to him that I had a reservation but not everybody was there yet. He showed me to the bar area, where the bartenders promptly checked if I needed to drink anything and got some chips and salsa. Rightaway, they let me know that the salsa was not vegetarian. Wow! This restaurant had already scored points from me – for their warm welcome, for being vegetarian cognizant and for the sparkling semblance. The merry music added to it. It wasn’t long before the other two arrived and we were seated. Again, they got us chips and salsa before we even ordered anything. The other two went vegetarian for the evening too, or well, I forced them to. We loved the salsa. It was plain and simple and we were hungry. We began with guacamole, sauteed spinach with almonds and green plantain tostones with mojo de ajo – which was plain minced garlic side. 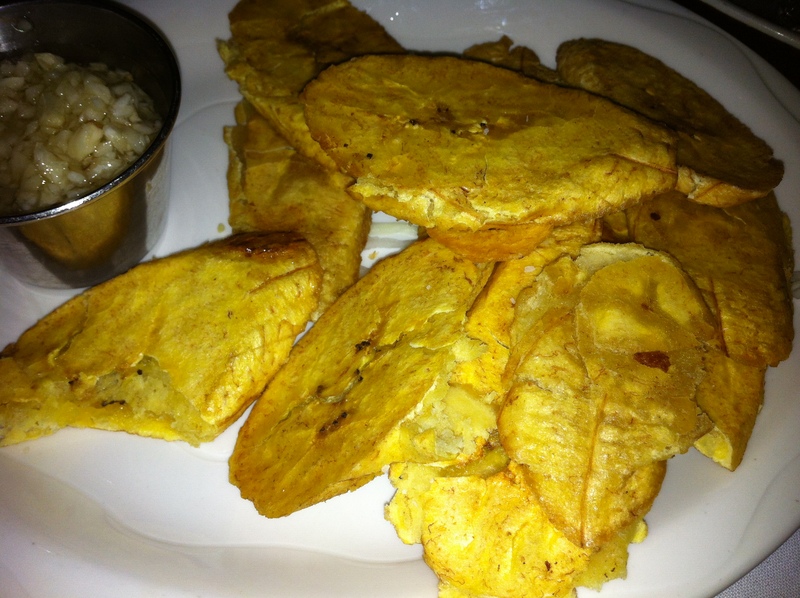 The plantains were crisp, not chips, but medium thick, long cut slices, but quite bland by themselves. We didn’t think they paired well with the strong garlic side. 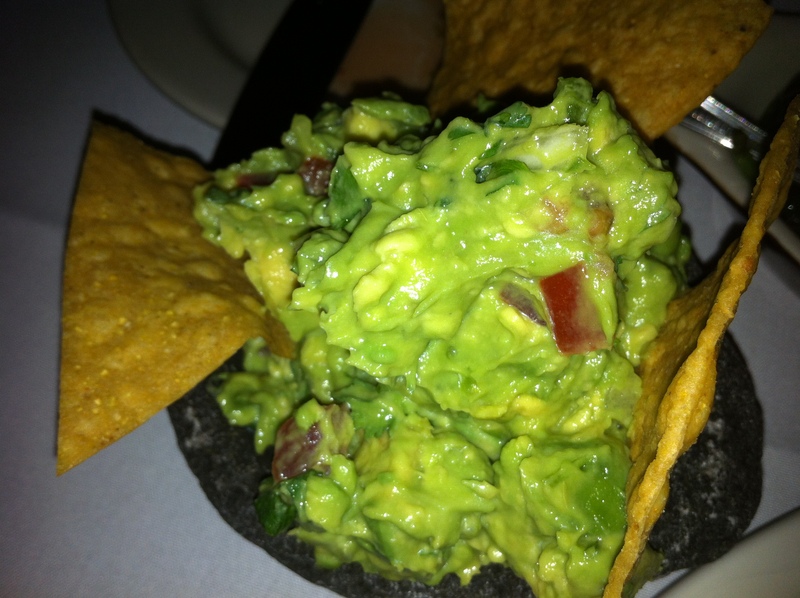 The guacamole was really good. Chunky avocado, could have done with some more lemon juice, but otherwise, good. Small portion. 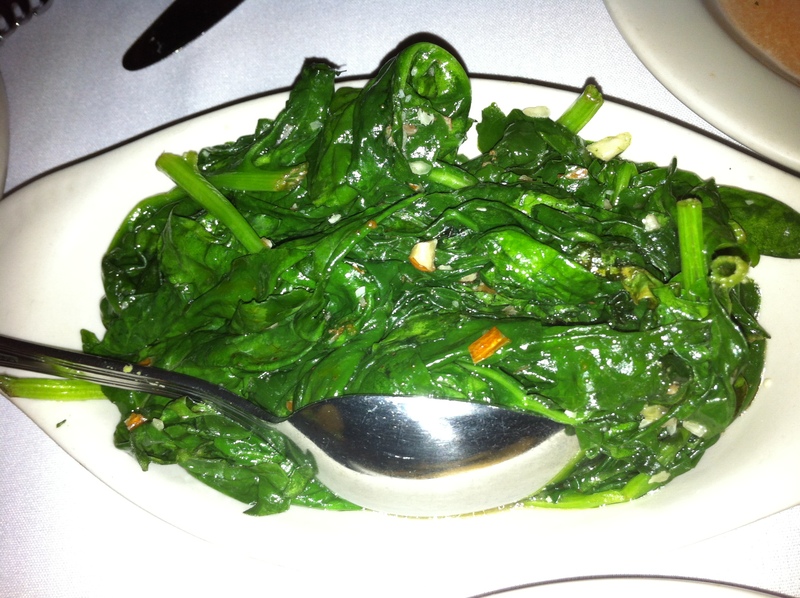 Spinach was regular, nothing out of the world, and the almonds didn’t add any kick to it either. But they all were fresh, so we did enjoy them. Slowly – that was S’s request. Guess, he also wanted to while time before hitting a club. We were discussing about the department party they had the previous evening. 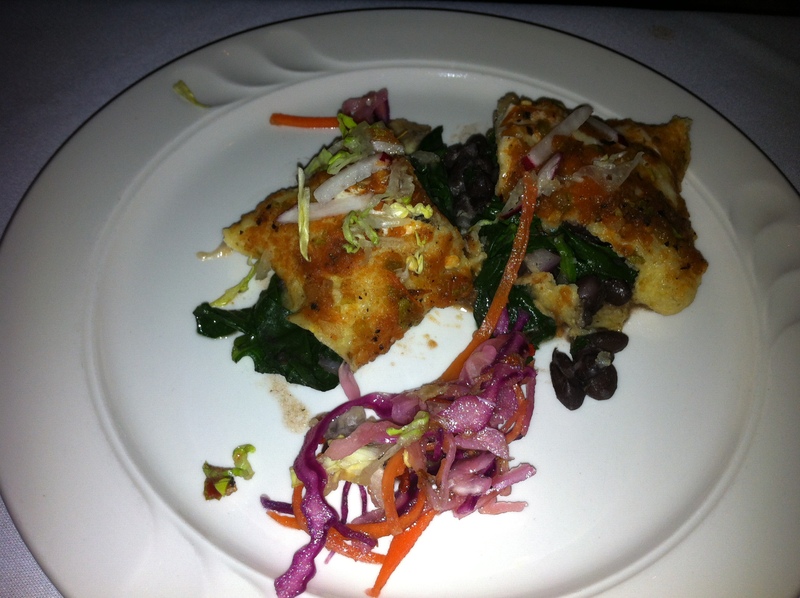 For entrees, we ordered black bean and spinach enchiladas and tostadas to share. Service, I’d say great again. When they got it to us, they cut the enchiladas and served it to us. When ordering things to share, serving the customers is a norm in India, not here. We didn’t enjoy the enchiladas as much – it had fresh radishes and tomato salsa. The seasoning they used seemed very sharp and didn’t go well with it. 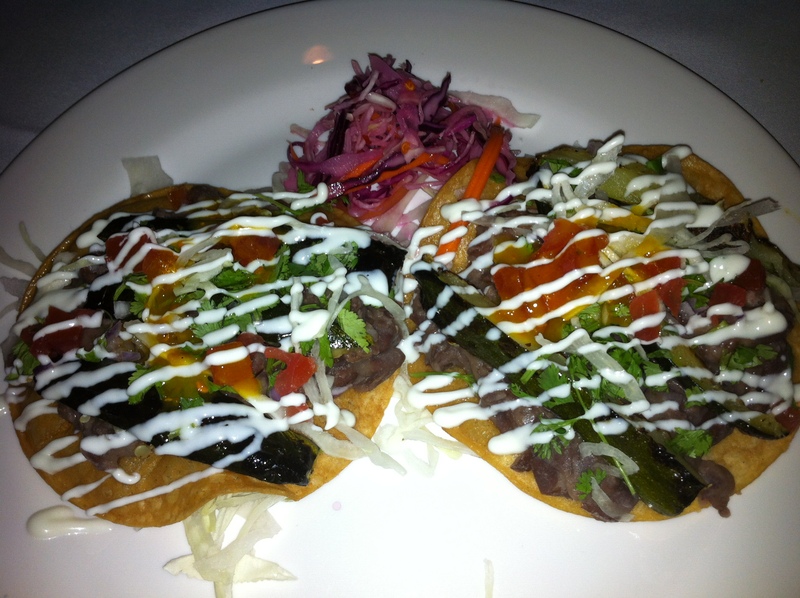 But the tostadas were very good, with smashed white beans and roasted zucchini over a crisp tortilla, with cabbage, jalapeno and cilantro. It was tasty, the smashed beans weren’t a paste and the vegetables were done well, and there was just enough amount of the creamy sauce. It looked great. We got tres leches rum cake and chocolate cake, and warm apricot and date and fig bread pudding. Not exceptional, but good enough for you to continue until you finish it. 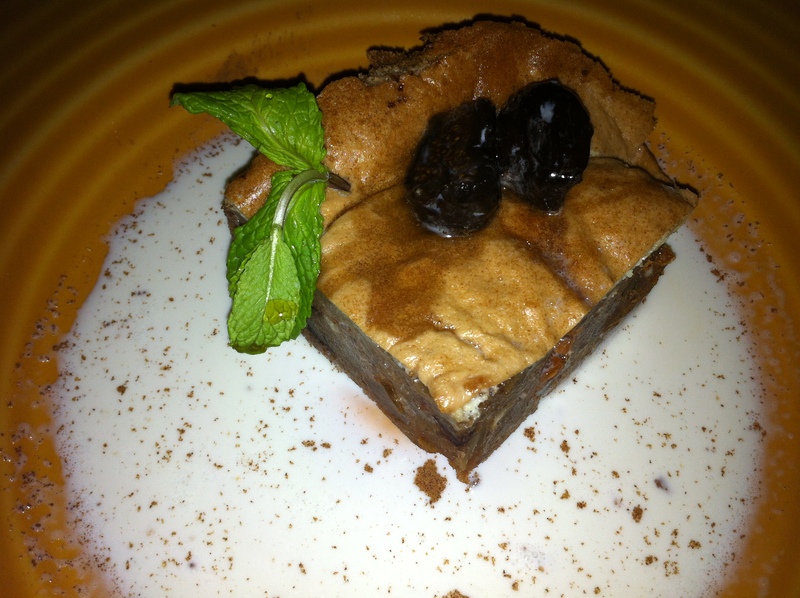 I have realized that I don’t enjoy mexican desserts as much. Both the desserts were at good temperatures, I felt. 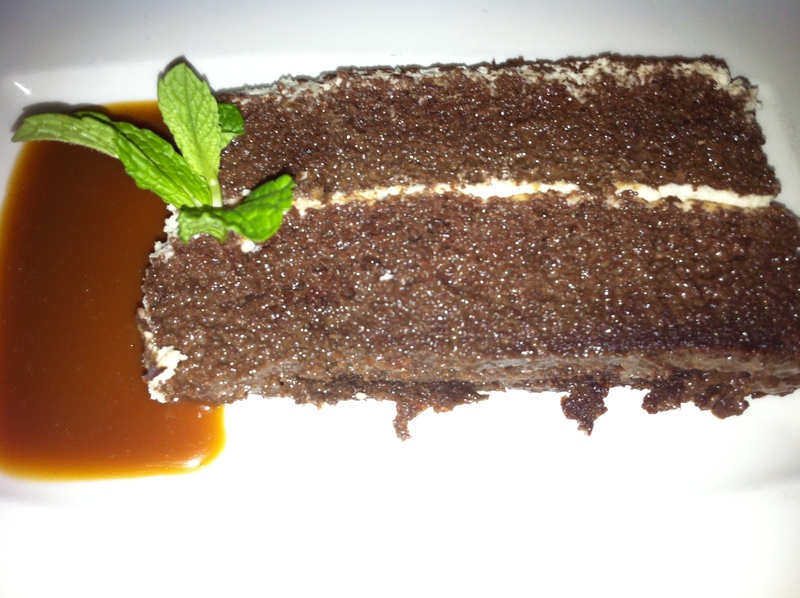 And the tres leches was moist, but still had the cake texture – which, according to me implies the little extra edge. The caramel rum sauce with it was a little too sweet.